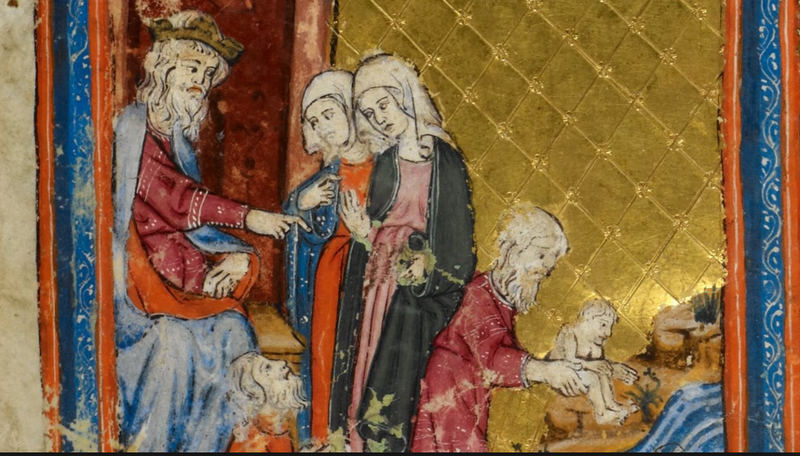 This week’s Lectionary contains the story of Shiphrah and Puah, the two Hebrew midwives who creatively and subversively thwarted the pharaoh’s plans to kill all the boy babies of the enslaved Hebrew nation. It’s an exciting tale of how two valiant midwives changed the course of their people’s history. Having given birth a couple times in the company of midwives, I feel qualified to point out a thing or two about them: they know the value of patience, and they know when a situation is untenable and must have intervention. They know when to apply a walk and a snack, and when to apply forceps (or for that matter, a trip to the ER). They wait and watch and care. They pay attention. Over the years of humanity’s existence. by means of the miraculous and the mundane. And you’ve saved your people by means of valiant midwives. With wisdom, experience, and alertness. Those who bind up wounds of effort. To give it a chance to arrive. Protecting the future as it is born.